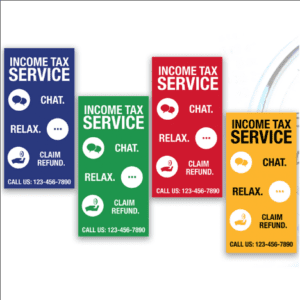 All Tax and Accounting businesses require different styles and outlooks, that is why we provide an outstanding selection of Tax Banner Templates to fulfill the wants of our Tax and Accounting Professionals. 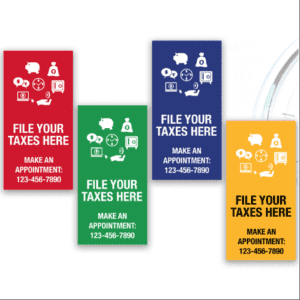 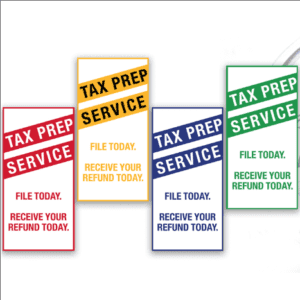 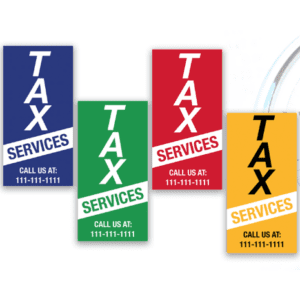 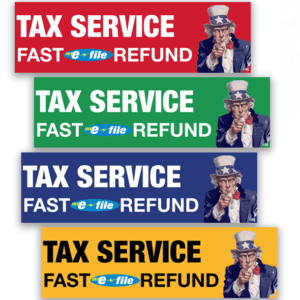 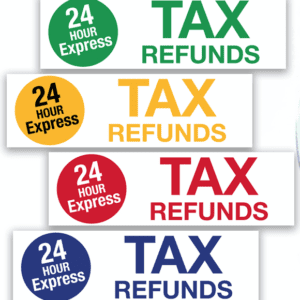 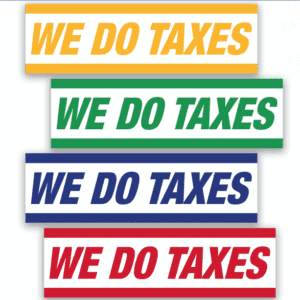 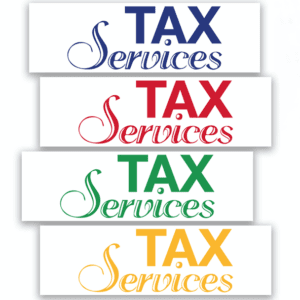 At Tax Marketing Services, we take printing your tax business banners seriously, utilizing the highest quality 14pt or 16pt card stock, UV coating and full-color printing on both sides. 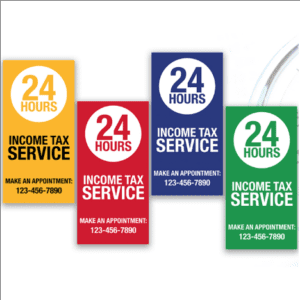 We also print postcards with the industry’s fastest turn-around time with our 24-48 hour completion of the printing of most banner printing jobs. 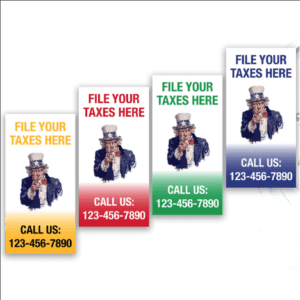 Make us your banner printer of choice. 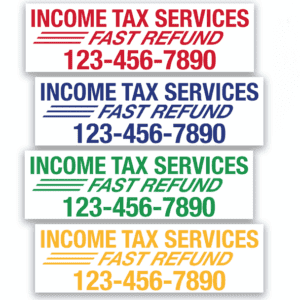 There’s nothing that we are unable to do to make your banner marketing needs a breeze. 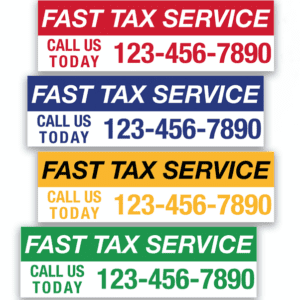 Marketing Banners are great for letting current clients know what is new with your services. 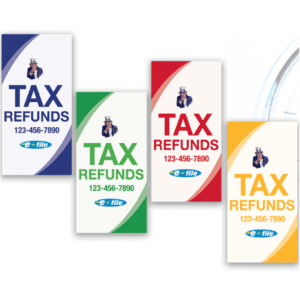 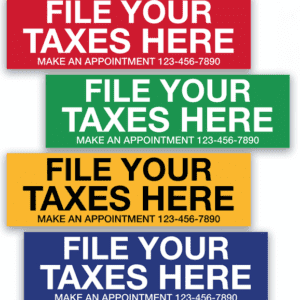 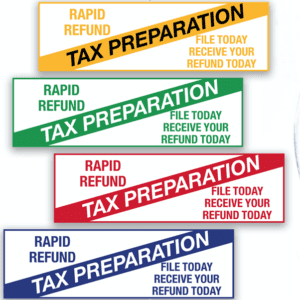 Tax Marketing Banners can provide new clients with promotions, specials and appointment reminders.